Please note, some links contain affiliate links. All this means is that I may receive a commission of the sale if you click on a link and purchase. These are all my own opinions - money will not sway me! 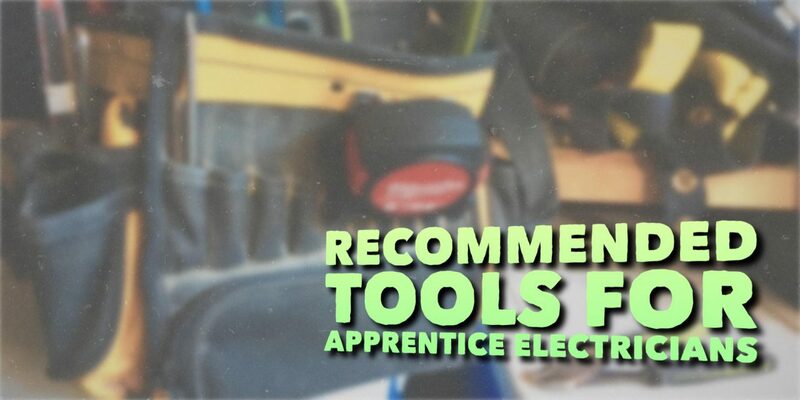 Welcome to my guide on the recommended tools for apprentice electricians who are just getting started in the electrical trade. There’s a few things I want you to be aware of before you go spend your hard-earned money! When I first started, the company I worked for offered a bundle pack, which they deducted from my pay cheque, until it was paid off. This is a really convenient solution.. but just be aware that some companies can be taking advantage of you here.. 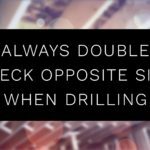 Many times you can get these tools cheaper through online stores like Amazon, or even through your local electrical wholesalers. The best way to go about buying your tools as a new electrician is to buy them in a bundle. Hand tool bundles typically include all necessary hand tools, as well as a tool pouch to get you going! When buying power tool bundles, you often save quite a lot.. almost as much as the cost of a battery if bought separately! I also want to share the companies which are highly recommend in this electrical industry. If someone talks bad about one of them, it’s just their personal opinion. They’re tools are typically great, and will complete your task great and effieciently. Klein Tools is probably the most known electrical tool company (almost all trades recognize the brand while on the jobsite.) In general.. any tool you purchase from them will be quality and should last for years. Greenlee is another well-known company in the industry. Known for conduit benders, heavy duty electric benders, knockout kits, and even basic hand tools. Milwaukee has exploded in recent years with innovation and branching into other parts of the construction industry. We typically knew them for their power tools, but they rapidly raced their way to compete with industry leaders in regards to hand tools, tape measures, levels, and even tools bags/backpacks! I’ve found most of their tools to be awesome.. but I’ve also noticed some cheapish flaws such as easily broken tape measures and chucks not holding bits in their drills. If you purchase my two recommend bundles (the two boxes below), there is still a few left out tools which I highly recommend for your improved efficiency as an electrician! The 11-in-1 by Klein Tools is absolutely essential for an electrician. It allows you to quickly switch between the common electrical bits. For example, #8 Robertson is used for lights, metal 4x4’s and octagons, but the #6 is used for plug installations, or other devices! A reamer saves so much time as an electrician. Yes, you can use your pliers or side cutters to remove burrs from your pipe, but sometimes you have to cut a pipe in a really tricky spot, and this can make reaming really hard. A reamer will really speed up your workflow, and give your pipe cuts that smooth edge, making for a safe wire pull. This reamer also has a flat head at the tip, so you can also tighten/loosen couplings for a quicker install, too! There are also two other types of reamers you can buy. And for the drill attachment reamers.. These work! But in my opinion, they’re super loud.. But they seemed to do a great job, as well as prevent strain on your wrist from repetition. This conduit hand reaming screwdriver is a bit pricey.. but I do highly suggest one to speed up your pipe work. FATMAX tape measures are by far my favorite. They give you amazing reach, allowing for easy light installs if you’re trying to find center of a bedroom, or anything similar that requires length. One thing I’d like to note.. Since I am in Canada, we deal with both imperial (inches) and metric (meters). I have recommened the inches/meters tape measure for that reason.. but my actual favorite tape measure is the FATMAX 16′ with just inches for measurement. I want to go over each tool more in-depth. It will not only educate you, but also let you have a better idea of what you need and don’t need. There will be specialty tools which you only need at certain times, depending on the task. The bundles include these tools, but below I have linked my current gear I use and recommend. 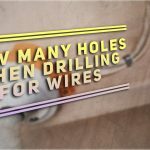 There are many options out there for pliers as an electrician. Even in Klein’s own brand, there’s at least 4-5+ different pliers offering different features. The color of the handles allows you to decipher the different features. The price point also differs depending on the features, too! Then there’s another that has a crimper built in (yellow handles). In my opinion, it’s best to get your own crimper, since the crimp is in behind the plier’s head, it sometimes makes it tricky to get into places..
And! Some handles both offer a fish tape version I’ve noticed on Amazon..
Over my years, I’ve liked the hardened steel ones, as sometimes you have to quickly cut down a screw, and you don’t have to worry about wrecking the integrity of your pliers cutting. There’s also brands like Knipex (really cool tools) and Greenlee too. In all honesty, my absolute favorite pliers so far have been the Greenlee one’s that are included in the hand tool bundle I recommended above. Side cutters are an absolute asset for an electrician. This is because side cutters allow you to get into really tight areas where you sometimes just need to nip something. Whether that be to cut your bond wire inside your box, cut the ear tabs off a plug if installing onto a taylor plate, cut string/twine really easily (preparing runs by pulling a bunch of string before actually pulling wire), and they even make a good pipe reamer! You may wonder if you actually “need” wire strippers..
Couldn’t you just use a knife? I personally like wire strippers. And the image I’ve shown are the one’s I suggest. They allow you to go all the up to #10 AWG, which is pretty much the biggest size of wire we as electricians use before getting into a knife to strip a wire’s insulation..
An awesome bonus to wire strippers is being able to cut your finishing screws, whether that be 6-32’s, or 8-32’s, without messing up your threads. (Make sure to thread in the right way, otherwise you’ll be stuck with a piece of cut screw in your hold that is a hassle to remove.. ask me how I know 🙂 ). They do have another stripper which allows for #8 AWG.. but this actually thew my workflow out of wack, because I was also so used to my wire strippers only going to #10, and the sequence of where you’d put the wires to strip is different. Needless to say, after a couple of months I got fed up and bought the Klein yellow trim wire strippers which had the normal sequence I was used to.. one’s that only went to #10 AWG. Whether this be for getting a pipe straight, installing a box plumb/level, or seeing where your conduit’s 90 degree bend is at! 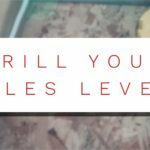 In my experience over the years, yes, there are definitely some better levels than others, you just have to be careful with the price you pay. The difference is in the strength of the magnets. We as electricians need really good magnets on our level because we hang it in weird directions on our pipe. If you’re magnets are poor, I can guarantee you that you’ll see you’re level on the floor a couple times. Then I walked down the general tool section and found a very similar level to the one I was browsing by Klein for only $30. It worked amazingly well. Funny story – I’ve told other electricians on sites about that empire level, and they ended up buying one too. There was like 3 of us with the same level! In my experience, I’ve always liked these snap-off/exacto knives. A main benefit is that you can extend the blade’s length really far if you need to cut something thick. And since you can lock the blade, it’s a pretty rigid design! I’ve had some bosses/journeymen tell me they don’t like them because they’re so sharp, so you have to keep that in mind, especially when just inserting a new blade into them as these knives are typically used for insulators, drywallers, and other tasks like opening boxes etc. But I really enjoy using this knife, and am just extra careful when it comes to stripping wires, such as when working with NMD. I also prefer the smaller size (18mm vs. the 25mm) – Again, I’ve gotten made fun of for it and people have called it cute.. haha, cute is never a word to describe tools on a job site. But it fits great in my side pocket, and it’s always there when I need it. Since I wear coveralls for my work clothes, there’s a really convenient spot in the chest of my bibs. It’s always with me, and I can quickly test if wires are live or not. Besides safety, it really speeds up troubleshooting or testing circuits when turning off and on breakers. It beeps when voltage is there, so you push the volt tick into a plug for example, walk to the panel and turn on the breaker, and the beep will let you know that the circuit is on! One word of caution: I’ve always been told by my journeymen to never trust a volt tick when testing for power. Even if you rub the volt tick on your arm, the static electricity of rubbing the plastic on your arm hair will set off the volt tick (which is a good way to check your battery life), but you should always use a meter to be confident to see if voltage potential is there or not. A meter is another crucial piece of equipment for an electrician. We use these to test if we’ve wired things correctly with the proper voltage, to identify which wire is which if mislabelings happen, as well as test to see if potential power is there for safety reasons. Most companies offer these bundle deals, where you can get a volt tick and a plug tester too.. however they didn’t have the GFI plug tester, which is a good feature to have to make sure the GFI you installed works properly. I also would recommend a clamp on meter because you can use the jaws to hang from places while using your leads, making it safer when testing for life power, rather than trying to juggle a bunch of things in your hands. The clamp-on meter will also allow you to test a single wire for how much power is being drawn on it, another powerful tool for troubleshooting. I also want to stress something important here. Meters are a hot commodity to be stolen on a job site because other trades know that they are expensive. Not so much these cheaper Klein and Greenlee ones.. but people know the name Fluke is an expensive brand. And! I’ve actually been on jobs when dealing with tasks such as fire alarm where these expensive meters don’t do well with continuity, and the cheap inexpensive meters work great! So that’s something to keep in mind. We as construction electricians do not need expensive meters to do our job. We simply test what voltage is there (120, 208, 240, 347, and 600 are most common for us), and test continuity of our wires. An expensive meter is required in other applications like electrical engineering, or if you’re trying to calibrate something for example.. but not us. Save your money, get the cheap meter, and you don’t have to worry about people borrowing it, or it getting stolen. This is actually my favorite plug tester I’ve used. I like the fact is has the GFI tester in it just so you can test to make sure the GFI safey feature works. When finishing and installing plugs, it’s important to go around to each plug, and plug this in. It will tell you if you’ve wired things correctly, such as putting your hot, neutral, and bond wire on the proper screws. The plug tester has 3 lights, and will light up according to how the plug is wired. It’s a really easy diagram to follow. This is a tool that just brings confidence that you’ve done your job correctly. Besides your 11-in-1 Multiscrewdriver .. I still prefer the single hand tools for certain jobs. For example, if you ever have to work in a live panel, you do not want to use a multi-bit screwdriver because by accident one of the bits can fall out as you are working. The single screwdriver is also a bit more nimble too, since the 11-in-1 is a bit fatter, sometimes it’s hard to get into certain spots. You’ll also notice I said a beater flathead in the title of this recommended product. You do not want to be using your nice tools for a beater screwdriver. The more you take care of your tools, the longer they will last. For example, as an electrician, you will have a finishing screwdriver. Try not to use this tool for any task other than putting on your cover plates. But your beater screwdriver you may be chipping out concrete, bashing wood with it, or most commonly, tightening on lock rings after you’ve installed your connector and conduit into it. You may be surprised, but Channel Locks are a very important tool to an electrician. Want a bonus tip? : Always carry two Channel Locks on you. Once you start dealing with certain types of connectors (liquid tight, rain tight etc. ), you will need to twist in both directions to tighten these connectors down. So having two Channel Locks allows you to twist hard in both directions. And as a personal preference, I actually prefer to use Channel Locks when bending pipe. I find it really fast to break and remove box knockouts, as well as tighten connectors really quick; especially when working with multiple sizes of connectors, it’s a really fast adjustment and an always sure sinch down. I even hit with my Channel Locks at times, not even close to how hard I’d hit with a hammer, and I make sure I use the back side as that seems like the strongest part of the tool (not flat where the rivot is.) But it’s surprisingly one of my favorite tools to use as an electrician! Needle nose pliers are not a tool I use tons as an electrician surprisingly, but it is a required tool to have around..
You never know when you’ll need to reach in those tight spaces. An alternative to needle nose are the new types of strippers coming out, which are the heavy duty wire strippers. They are similar to needle nose pliers, but are like two tools in one; yet still built strong to take a bit of a beating. I’d still recommend a set of needle nose pliers as they’re always handy to have. This has been my absolute favorite tool bag I have yet to own. When first starting, I went from holding most of my tools in my tool pouch (a big no no.. too much weight will hurt your body), to getting a bucket with a tool fabric insert (that was actually pretty cool..), and then finally this DeWALT tool bag. The first thing I like about this electrician’s tool bag is that everything is visual. You can quickly look down and grab what you need. Third – The shoulder strap has come in handy quite a few times, whether that be walking to site, going up a ladder, or even hanging my tools off something when up high. This one has been my bread and butter. I’m so happy I found it. Depending on what type of electrician you are, you may not wear a tool pouch at all! This also depends on the task you are doing as well, too. If you are a residential electrician, you will definitely benefit from a tool pouch, but you must be careful with how many tools you are holding all day. It really adds up and quickly deteriorates your body! With that said.. you can still get away with a really light set of tools and work just as fast as the next guy. So as a residential electrician in the rough-in stage, the most important is being able to hold staples, screws (both 8x1’s and longer screws for special scabs), and nails. You can do that with a drywall 3-pocket pouch. It’s even great for splicing when it comes to having a bunch of marettes on you. As a commercial electrician, it’s rare that you’ll ever see an electrician wearing a tool pouch. This does all come down to your boss and company, but you can be just as efficient without a tool pouch since your work clothes have many pockets to hold the required tools for your task. The electrician’s tool pouch I suggested is one I’ve seen a couple guys wear. If you wear work pants and a belt, you actually slip this over your belt. It’s not huge, and allows you to have all your basic tools on you at all times. Another thing I’d like to stress is the nylon pouches are typically lighter compared to leather. In my opinion, you want the lightest tool pouch you can get your hands on. 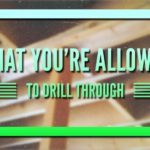 Drill bits are very often used in commercial electrical. Whether that be drilling holes in strutt for ready rod, bolts, or even 4x4 metal boxes. They are always a handy tool to have around. Be careful though, as they are a disposable item which your employer should be providing or replacing. I really like spade bits for quick holes I have to drill because of a forgotten hole drill when planning your hole route, or for renovation work. Typically we as electricians use Auger Bits when drilling holes in residential. You company should be providing these for your use, but a spade bit is a nice little bit to have on your for those just in case moments as a starting electrician. A seasoned electrician would probably laugh that I am recommending these step bits. In my experience, when using the 1/2 step bit drilling things like strutt and 4x4 boxes, has outlasted expensive bits (close to $100!) in the long-run for a fraction of the cost..
And again, you shouldn’t be providing these bits if you’re working for a company. I hope you enjoyed my recommended essential tools for apprentice electricians just getting started up in the trade. 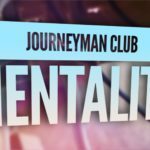 I broke down each tool to why you need it and the benefits it can bring to you. If you feel I’ve missed something, share your own tool in the comments. I’d love to update this list to make it an industry go-to guide. I truly care about your privacy. Your email will never be sold or rented to ANY third-party vendors. These emails are intended for education purposes, and special deals companies have offered. Riley has been an electrician since 2008, and a Red Seal Electrician since 2016. He has a passion for educating and finding the best practices for tasks. Through his apprenticeship, he found the electrical education system was lacking to make one a great electrician.. He's been privileged to work with many seasoned journeymen which have passed down their tricks and tips to him. Fun Fact: He actually put his electrical apprenticeship on hold to pursue a musical career before coming back to complete his ticket.